Roadie, Inc. the on-the-way delivery network recently announced that it will waive fees for senders on Roadie gigs traveling to and from Baton Rouge — allowing people to send much-needed clothing, supplies and other non-perishable goods to friends and family affected by the devastating floods in the region. Users simply post items they want to send, and Roadie will cover the cost of delivery. As with all Roadie gigs, drivers can get paid for trips they are already taking to Baton Rouge. Many of the items needed in the wake of the flood — like mattresses, furniture, appliances and other household supplies — can be difficult or cost-prohibitive to ship. At the same time, thousands of vehicles are already driving along I-10, I-12, and other major corridors around Baton Rouge on any given day. Roadie is an app-based community that puts unused capacity in passenger vehicles to work by connecting people with stuff to send with drivers already heading in the right direction. Roadie is available for download in the App Store, Google Play store, or at www.roadie.com. Users simply set up a gig, select a driver and get their items on the road. Shipments can be tracked in real time on any device. Volunteers, students, church groups, business travelers or other road warriors heading to Baton Rouge can earn extra cash for trips they’re already taking, while at the same time helping those in need. Drivers can download the app and bid on gigs that make sense for their schedules and the direction they are already going. All miles driven for Roadie gigs qualify for a tax write-off, and drivers enjoy benefits such as free roadside assistance, free food and drinks at Waffle House, and savings from other Roadie partners. For more information about how to help residents of Baton Rouge, visit the Roadie blog. Roadie is revolutionizing the way consumers and businesses send oversized, heavy or awkwardly shaped items, saving time and money over traditional carriers. Since launching in January 2015, the Roadie app has been downloaded by more than 250,000 people nationwide. 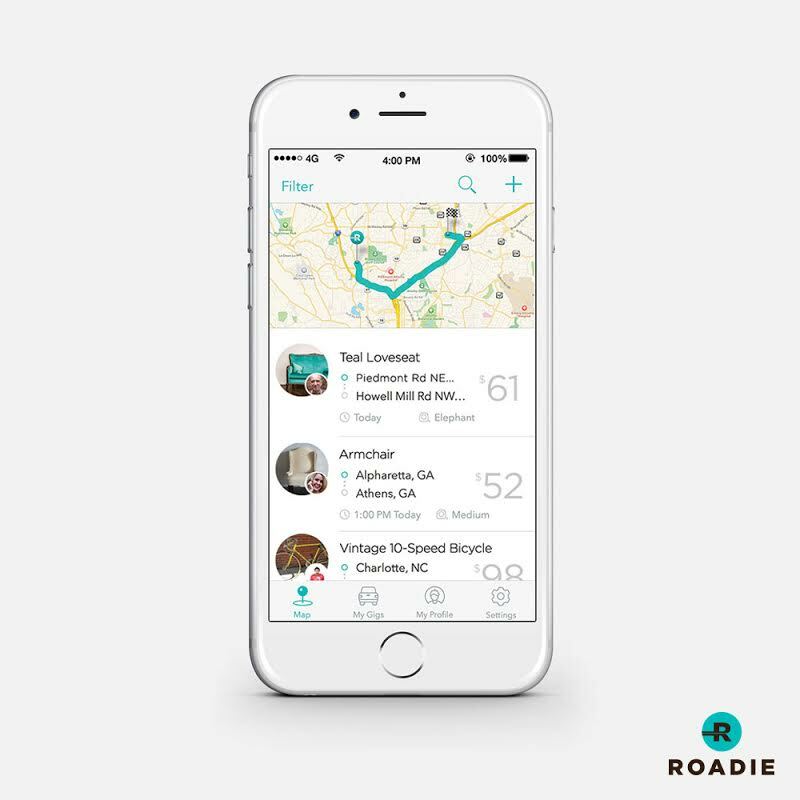 Headquartered in Atlanta, Roadie is an app-based community that puts unused capacity in passenger vehicles to work by connecting people with stuff to send with drivers heading in the right direction. 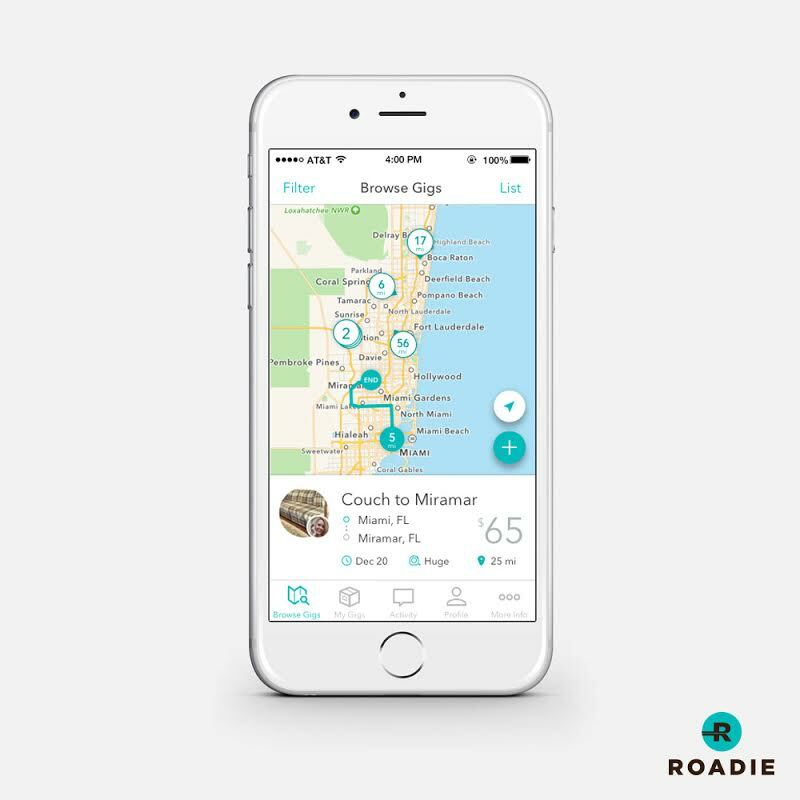 Roadie’s model enables efficient, low cost delivery for senders and rewards drivers for trips they were already taking. Roadie is backed by Warren Stephens of Stephens Inc.; the UPS Strategic Enterprise Fund; Eric Schmidt’s TomorrowVentures; David Bonderman, founder of TPG Capital; Guggenheim Partners’ Executive Chairman Alan Schwartz; Square Co founder Jim McKelvey; the Mellon Group; former CEO of ISS Tom Noonan, and H. Barton Asset Management, among others. To learn more about the world’s first on-the-way delivery network, visit www.roadie.com.